Opportunity may come when you least expect it. Preparation, education, and experience are all massively important to taking advantage of an opportunity, but hard work and passion will often keep you moving forward when things don’t necessarily go as expected. Dr. Allison Keenan grew up just outside Erie in a family that stressed earning a quality education and working hard to achieve her goals. After receiving her undergraduate degree in Psychology, she decided to pursue Audiology in her Graduate and Post-graduate education because her family had a long history of hearing ailments. 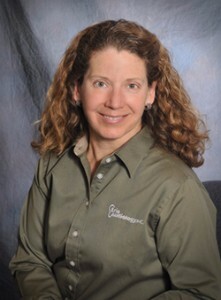 For nearly two decades, Dr. Keenan worked as an Audiologist for several major hospital systems in both Texas and Pennsylvania, including Hamot Hospital in Erie. Allison noticed a trend as managed care became the norm at large hospital systems. Patients simply weren’t getting the personalized treatment they needed to help them overcome their hearing loss. Identifying this problem was step one in Allison’s solutions-focused entrepreneurial journey. She realized a personalized approach to hearing loss was a better model of service for a huge chunk of people in the northwest PA region. Allison had a great relationship with the former owner of Erie Audiology and when he mentioned he was nearing retirement, Allison jumped at the opportunity to take over the practice and focus on personalized hearing care. Although there was a great deal of anxiety and a bit of a “business ownership” learning curve, Allison navigated the rocky waters of being an entrepreneur to become a leader in the profession and industry. 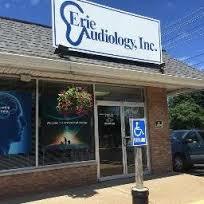 The biggest thing she’s learned so far: Patients genuinely appreciate the customized approach and personalized care provided at Erie Audiology. This year Allison became one of the 2017 ATHENA PowerLink Panel recipients, which offers her access to a custom designed advisory panel to work with her on the business for one year at no charge. The panel, which can include lawyers, bankers, accountants, marketing, IT, human resources, sales, and real estate professionals, will help her with her individual needs as a business owner to help grow her business. Allison’s consummate professionalism and dedication to personalized care have helped pave her successful entrepreneurial journey, and it’s only the beginning now, as she’s sure to keep progressing with ATHENA’s valuable support. Don’t miss out on opportunities if you’ve found the solution to a problem that can help you start your business. Contact us at the Innovation Collaborative to discuss how you might start your journey as an entrepreneur!